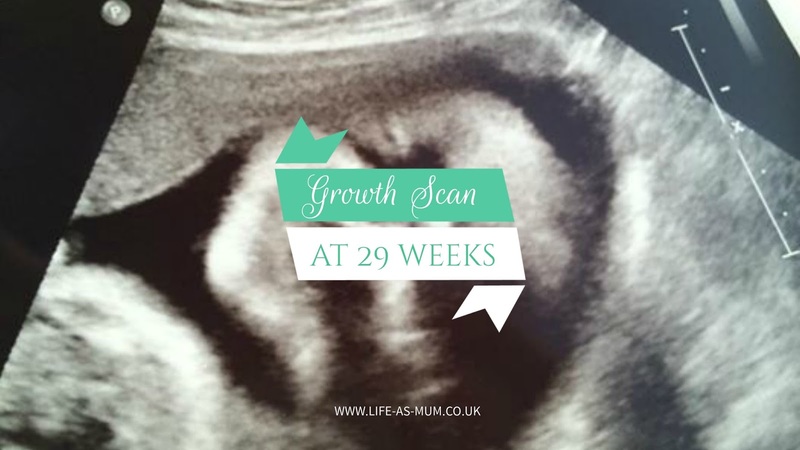 I remember a couple of months ago I was told I was going to have a growth scan along with my consultant appointment afterwards around the 29 weeks marks. I couldn't wait and May seemed like such a long time away. But it has now been and I must admit the scan was just amazing. We arrived around 1.45pm, so just a little early for our 2pm appointment. We were called in not long after and I did the usual, lying down on the bed and then the woman put the cold jelly on and there she went to scan me. You could defintely tell the size difference in this scan compared to my 20 week scan. He had grown so much in just 9 weeks. My partner wanted to make sure he was definitely a boy so she checked for us and it was very obvious he was a little boy. Which got me all excited again. 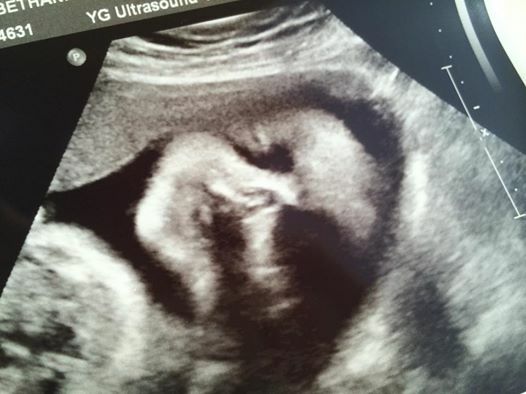 I think after having two girls and then being told you are having a little boy you still have that little worry in your mind to say that baby is going to be born a girl and all scans have been wrong! I think it also may be because I am finding it so hard to believe that I am having a baby boy. After checking out he was still our little boy, she moved on to check everything else such as the water, placenta, his legs, head and so on. Before checking out the gender again, she checked his heart and it was beating away all healthy. He moved quite a bit during the scan so she struggled to get some measurements but managed to in the end. When she got to his face we were both really shocked at how many features we could see. He had an adorable cute buttoned nose and we caught him yawning, which was just amazing. We saw his eyelids which were so clear. She also managed to snap a photo for us with him looking straight at the camera and pouting. He was measuring just at the line which was perfectly fine and roughly same measurements as what Elliw was when I was pregnant with her. So may be another 9lber baby? We will see!